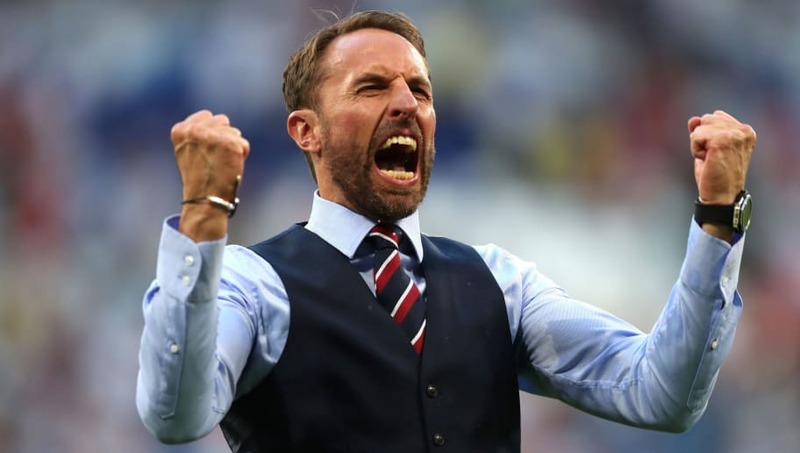 ​England boss Gareth Southgate has named his squad for the upcoming Euro 2020 qualifiers against the Czech Republic and Montenegro. West Ham United midfielder Declan Rice made the cut (as expected, after controversially switching allegiances from the Republic of Ireland), while Southampton's rejuvenated ace James Ward-Prowse, Crystal Palace starlet Aaron Wan-Bissaka and Wolverhampton Wanderers captain Conor Coady all missed out on call-ups. First up, there was an awful lot of love for the inclusion of Rice, who has earned his first call-up at the tender age of 20. The versatile footballer is likely to be deployed as a holding midfielder by Southgate, and will be competing against the likes of ​Liverpool stalwart Jordan Henderson and ​Tottenham Hotspur's Eric Dier for a starting spot. 12 March 2019: Declan Rice named FAI Young Player of the Year. 13 March 2019: Declan Rice receives his first call-up to the England squad. ​​While there was an outpouring of excitement over ​Rice's inclusion, there was a notable backlash against Southgate for failing to reward Wan-Bissaka's stellar form with a first senior call-up. ​Spurs' Kieran Trippier reclaimed his spot in the squad despite going through a shaky spell for the north London side, and being an injury doubt ahead of the selection. How has Wan Bissaka not been called up? ​​Similarly, there was quite an uproar caused by the omission of Ward-Prowse and Coady - players who had been hotly tipped to be given the nod by the selectors. The former has excelled for ​Southampton with his exceptional set-pieces in recent weeks, while the latter has been a defensive rock for ​Wolverhampton Wanderers throughout the campaign. ​​While there was inevitably a bit of a backlash - you can't include everyone, after all! - there was generally a sense of positivity around the announcement. A host of players named in the squad posted proud updates on being recalled to the side, including the likes of Manchester City star Raheem Sterling, and Spurs talisman Harry Kane. England play their opening Euro 2020 qualifier against the Czech Republic at Wembley Stadium on ​​the 22nd March, before travelling to Montenegro for an away clash against Ljubiša Tumbaković's side the following Monday.